When you think of Thanksgiving desserts, your mind probably automatically heads straight to the traditional offerings - pumpkin pie, apple pie, cheesecake, and pecan pie. There's a reason these desserts have become Thanksgiving traditions. But, there's no good reason to exclude cookies from your Thanksgiving dinner celebration. At least I can't think of one. Since I love cookies and Thanksgiving, I feel compelled to bring them together. And while there's really no such thing as traditional Thanksgiving Cookies, there are lots of great cookies packed with the flavors of Autumn and Thanksgiving, like cranberries, pumpkin, maple, apples, and pecans! For cookies with both the look and feel of Thanksgiving, why not make up a batch of your favorite Cookie Cutter Dough and cut it out with Thanksgiving Cookie Cutters in Pumpkin, Turkey, or Fall Leaf shapes. You can sprinkle them with colored sugar or frost them with your favorite Sugar Cookie Icing. 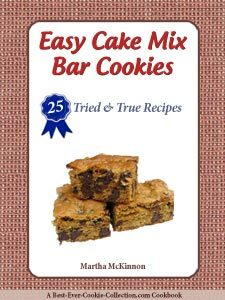 If that seems like too much work, why not make up a batch of easy Thanksgiving drop cookies, squares, or cookie bars? We've got a great selection for you to choose from. These easy No Bake Pumpkin Bars are a delicious cross between pumpkin pie and cheesecake. Easy Pumpkin Drop Cookies with dried cranberries and pecans. This recipe for Pumpkin Squares produces delicious, dense, moist, and spicy pumpkin squares that are like gingerbread, only better for a nut lover because they are crusted with pecans. These delicious and nutritious cookies are sure to be loved by even the littlest of "cookie monsters." These pumpkin cookie bars have a way of disappearing very quickly every time I make them. 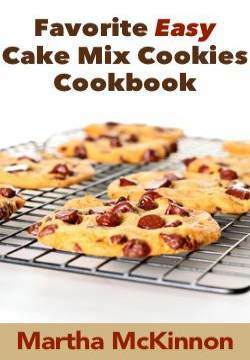 Chocolate Chip Cookies that are perfect if you prefer soft chocolate chip cookies enhanced with the flavors of pumpkin and spice. Are you in the market for a unique Thanksgiving cookie recipe? These Pumpkin Cranberry Biscotti are so good we guarantee you will be craving them year round! 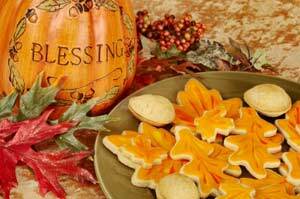 Here is a recipe for pumpkin cookies that is sure to please. They are soft chewy oatmeal cookies enriched with pumpkin and spice. Looking for an easy drop cookie that tastes just like traditional pumpkin pie? Moist and muffin-like pumpkin cookies drizzled with maple glaze and walnuts. We've gathered our favorite recipes for pumpkin whoopie pies here for you - one from scratch and the other that begins with a cake mix. Here's an easy bar cookie recipe that is both yummy and packed with the nutritional goodness of pumpkin. All the holiday spices and flavors (cinnamon, nutmeg, ginger and clove) rolled into one delicious cookie. Their name says it all! Creamy cheesecake bars made special with dried cranberries and chocolate chips. Quick and easy drop cookies that are chewy, sweet, and crunchy. An easy bar recipe that combines whole berry cranberry sauce and cream cheese into a delightfully festive holiday treat. Cranberry orange bars/squares are one of our favorite quick easy cookie recipes that is even festive enough for the holidays, yet easy enough for everyday. These simple tasty cranberry nut bars are easy to make, stirring together in minutes. Simple shortbread cookie dough made extra special with the addition of chopped dried cranberries. Easy drop cookies with all the flavors of cranberry bread. These delicious cookies are soft with slightly crunchy edges. Soft and chewy cranberry cookies that are topped perfectly with Orange Icing - a special holiday treat everyone will love. Tart cranberries provide the perfect contrast for the sweet butterscotch chips in these delightful oatmeal cookies. Chewy, sweet, and tart, these cookies are hard to resist. Festive cranberry cookies perfect for celebrating the holidays. A favorite collection of 17 recipes for Thanksgiving cookies gathered from around the web. These crunchy buttery cookies practically melt in your mouth. If you like shortbread cookies and pecans, you will love these Butter Pecan Cookies. Easy Butterscotch Pecan Cake Mix Cookies that take the flavor of butter and pecans to new levels. You now have another way to enjoy your favorite holiday treat with these crisp, cut-out eggnog cookies. These blondies (or brownies) are moist and chewy with a definite flavor of maple thanks to the addition of both maple syrup and maple flavoring. 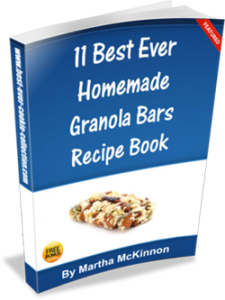 All the flavor of pecan pie in a quick and easy dessert bar. Thanksgiving Quotes: Enjoy these quotes about the power of gratitude and thankfulness.